On the polished stones of Ojigahama Beach in Shingu, Wakayama Prefecture, a group of men stand in the February cold. Dressed in long athletic coats they look like a marooned football team. 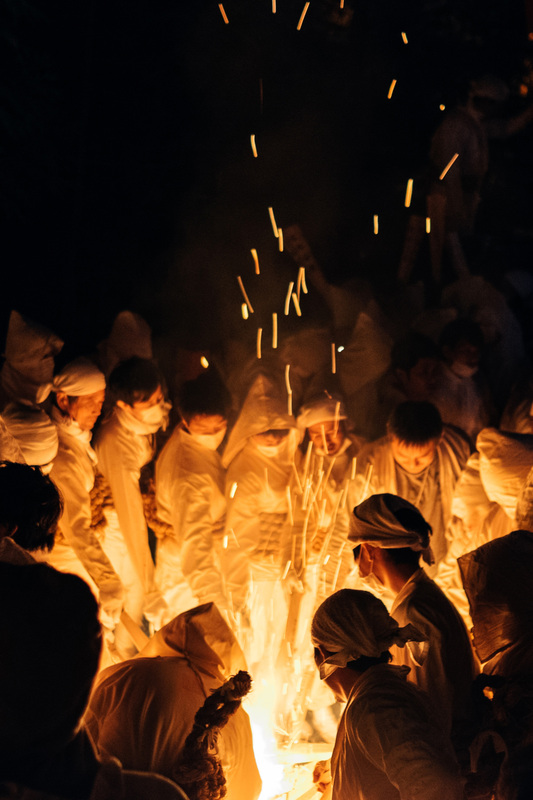 They’ve come for shiogori, a saltwater baptism to cleanse body and mind and the first act of one of Japan’s two great fire festivals. 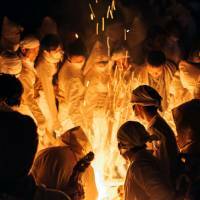 For 1,400 years, the Oto Matsuri has endured here, a festival of purity, and fraternity, that is as dangerous as it is beautiful. 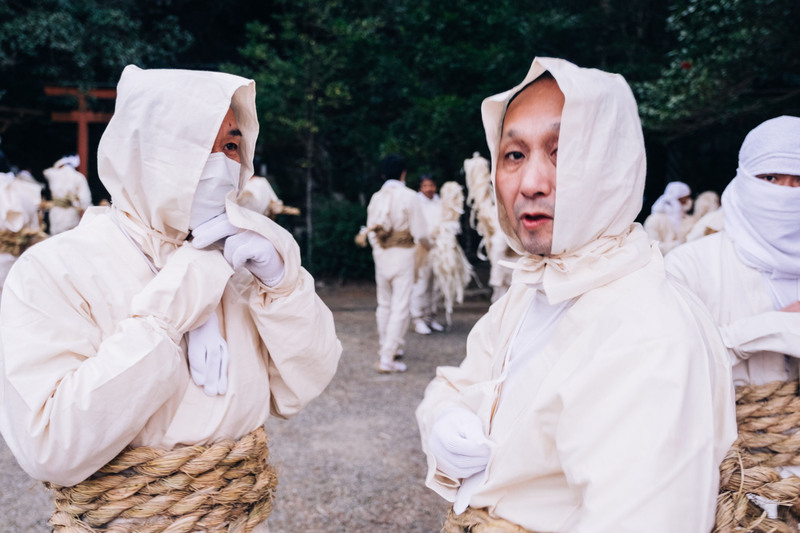 The participants are known as noboriko, “those who go up,” a reference to the evening climb of Chihogamine mountain, where these men will join 2,000 others to share the sacred fire and sprint down the craggy steps carrying nothing but their torches to guide them in the darkness. But first, the frigid Pacific. 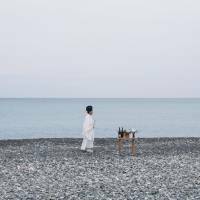 Near the shoreline, the kannushi (Shinto priest) jokes with the congregation, lending a casual mood to an otherwise stoic affair. He arranges a single table with sake and Shinto adornments. Women are forbidden from participating in the ceremonies, but a few are here to observe, chatting and minding children who toddle on the beach. 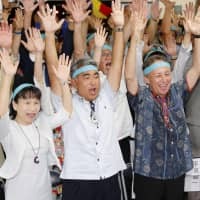 When the rest of the noboriko arrive, the participants remove their coats, wearing nothing but white fundoshi (loincloths) and hachimaki head wraps. 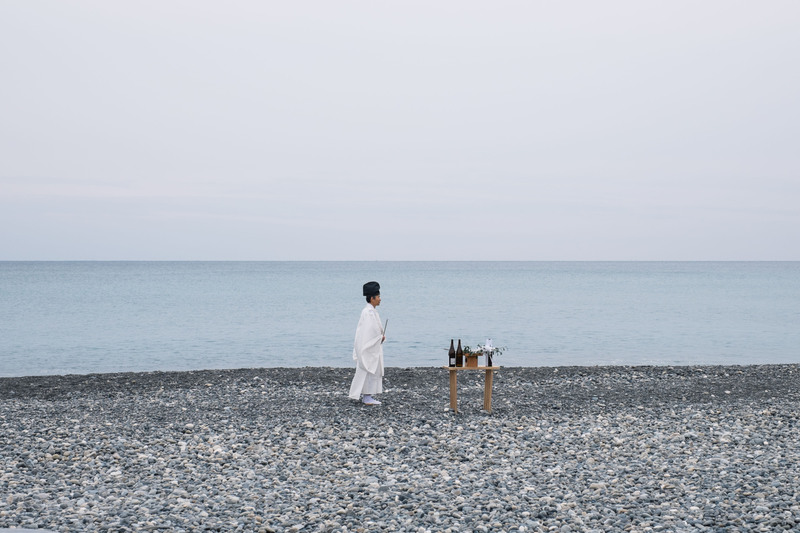 The kannushi positions his ebōshi (cap) and the sound of the waves hushes the chatter of the crowd. He offers an ancient prayer facing the Pacific eternity. The men form a circle on the beach and the priest joins to lead them in a chant. They punch into the air in staccato rhythm. When the chant finishes, the group marches into the sea, shouting in defiance of the cold. They reemerge cleansed and vital, then warm themselves near the fires burning on the beach. Back in town, the second act, sansha mairi (Three-Temple Visit) has begun. Groups of noboriko spill out from houses and offices haunting the streets like apparitions. They help wrap one another with protective straw ropes and sandals in preparation for the treacherous night ahead. The white uniforms have meaning, of course: purity. As does the white food that has been eaten by the men throughout the day: tofu, rice, fish cakes and noodles, with plenty of sake. 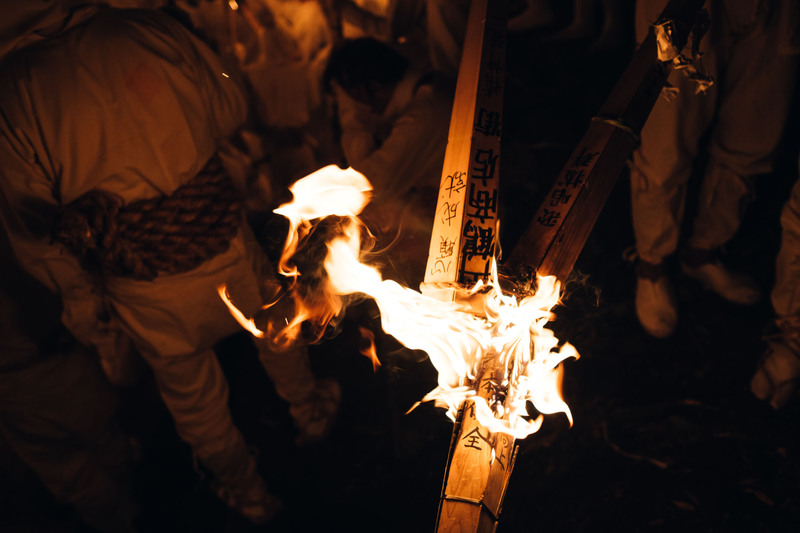 They carry meter-long torches made of cypress upon which prayers are written for the coming year. On the way to the temples, the groups of men greet one another, crossing their unlit torches as they pass and yelling tanomude!, “together we go!” Paper-thin wood shavings are attached to the ends of the torches, many of which detach and form tumbleweeds around the town. 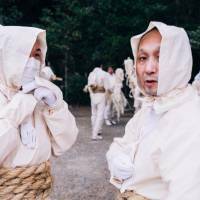 After completing the sansha mairi, noboriko head to the foot of Chihogamine mountain and begin the ascent of kamakurazumi, an 800-year-old 538-step stone path. 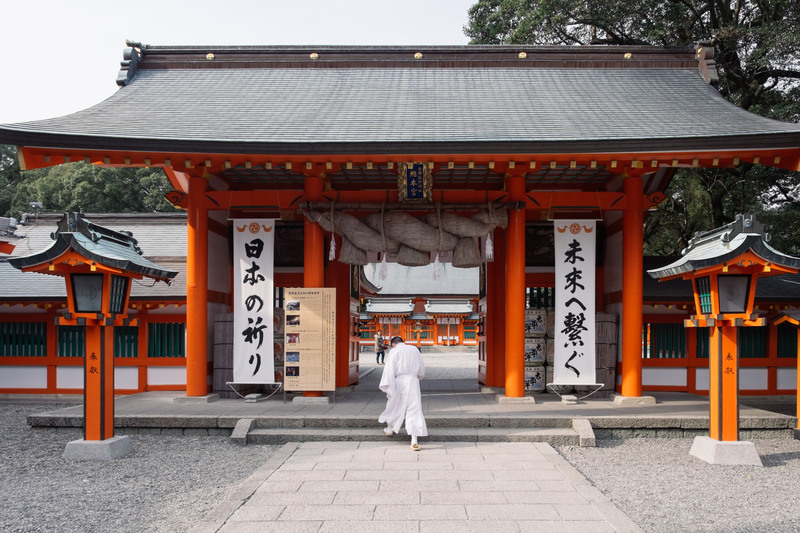 At the top, they enter the red gates of Kamikura Shrine, jockeying for position. Reaching the bottom first is an honor and most are keen to be the one who does it. The sun sets and 2,000 men, like ghosts, wait in the dark. The aggression builds, tempers flare and scuffles break out in the swell, some men use unlit torches as cudgels to maintain their position near the gate. At last fire emerges from the shrine above. Shouts erupt from the crowd as they pass the flame from torch-to-torch until the darkness is illuminated with a bright, orange glow. 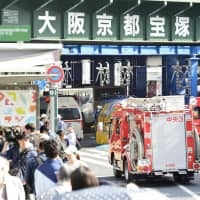 The forest surrounding the shrine is overwhelmed by thick smoke. The passion of the noboriko rises with the intensity of the flames. They push against the gates, held shut by large poles secured by men on the other side. When the flames reach their peak, the gates are finally opened. An explosion of men sprint down the rocky pathway carrying fiery torches to the bottom where townspeople await. From the town below, the streak of fire looks like a dragon descending the mountain path. The Oto Matsuri takes place on Feb. 6. 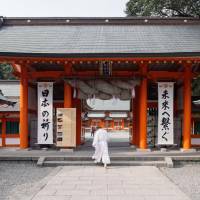 Kamikura Shrine is a 15-minute walk from JR Kisei Line Shingu Station.